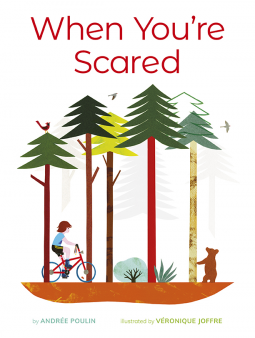 Be Brave(r): When You’re Scared – Joyce's mystery and fiction book reviews with some non-fiction too! All children feel scared at some time and learning how to cope is an important life skill. This book may help. A child and their mother are going camping. At the same time a bear cub and its mother are out and about. In a way that parallels the book Blueberries for Sal, the cub and the child have similar experiences. Each learns to cope and is less frightened at this picture book’s end. The illustration in this book are engaging. The story line is simple and consists mostly of a few repeated sentences. This book provides a sweet way to look at fear and being brave. It also shows how helping others can be a good coping mechanism. Thanks to the publisher and NetGalley for this e-proof in exchange for my opinion.